Mike Fernandez is CEO, U.S. of Llorente y Cuenca, the leading public relations consultancy in Latin America and Iberian Peninsula, and professor of strategic communication at Boston University. 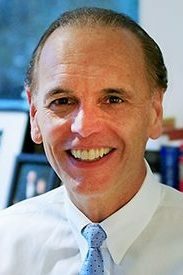 Prior to these roles he served as the U.S. CEO of Burson-Marsteller (prior to its merger with Cohn & Wolfe) and was chief communications officer for five large U.S.-based corporations across diverse industries, including financial, technology, consumer goods and services, and health care. In the most recent of the CCO roles, he led global corporate affairs at Cargill, the world’s largest privately held company and one of the world’s leading producers and marketers of food, agricultural, financial and industrial products and services. During his six-year tenure, he was responsible for communications, brand and marketing services, government relations, and corporate social responsibility. Before joining Cargill, Mike was chief communications officer for four Fortune 500 companies, including State Farm Insurance, ConAgra Foods (now Conagra Brands), Cigna and US West (ultimately succeeded by Century Link). He also held various global marketing and communications roles at Kodak, leading teams focused on external business communications, employee communications and strategic and executive communications. Early in his career, he served as Press Secretary to U.S. Senator Ernest “Fritz” Hollings, where at age 23 he was the youngest U.S. Senate Press Secretary ever and only the second Latino to serve in such a role. When he was selected as US West’s CCO in 1996 he became the first US-born Latino to serve as the CCO of a Fortune 500 company. Mike has been listed on PRWeek’s Power List of the top 50 PR professionals in the U.S., and the Holmes Report’s Influence 100 list of the top 100 PR professionals in the world. He has served on the boards of two professional organizations: The Institute for Public Relations (where he is a former co-Chair) and the Arthur W. Page Society (where he co-chaired Thought Leadership and the Finance Committee). Mike was inducted into the PRWeek Hall of Fame in 2015. He also has received the Institute for Public Relations’ Alexander Hamilton Medal, the Hispanic Public Relations Association’s first Pioneer Award, the PRSA Foundation’s Paladin Award and the Plank Center’s Milestones in Mentoring Award. In 2014 his Cargill team won PRWeek’s Global Program of the Year Award and in 2015 Fortune magazine listed Cargill among 50 “Change the World” companies that are making a positive impact on the world. Mike graduated with a B.A. in Government and M.S. in Accounting from Georgetown University.